Reported as one of the most effective social media marketing campaigns of 2010 by Forbes, this campaign brought about a massive change in the division between online and offline marketing efforts. Up until this point, it was common for businesses to handle digital marketing, especially social media marketing, from a different perspective than offline and television marketing campaigns; different gimmicks were used for the different platforms, and often the two facets of the marketing scheme would be managed by different companies. Old Spice changed that in February of 2010, when they launched their now famous television marketing campaign—and tied it directly to their social media marketing efforts. Utilizing quirky, silly and highly memorable scripts and actions in their new commercials, Procter & Gamble turned Isaiah Mustafa into the “Old Spice Guy,” who left everyone in the United States cracking up over phrases like “I’m on a horse.” To go with the commercials, however, the company asked their friends and followers on Facebook, Twitter and other social media to ask real questions of the viral star Mustafa; selected questions would be answered as soon as possible. This led to the creation of more than 185 videos shot, cut and posted over a couple days, garnering more than 65 million views and earning the campaign a place in social media marketing history. 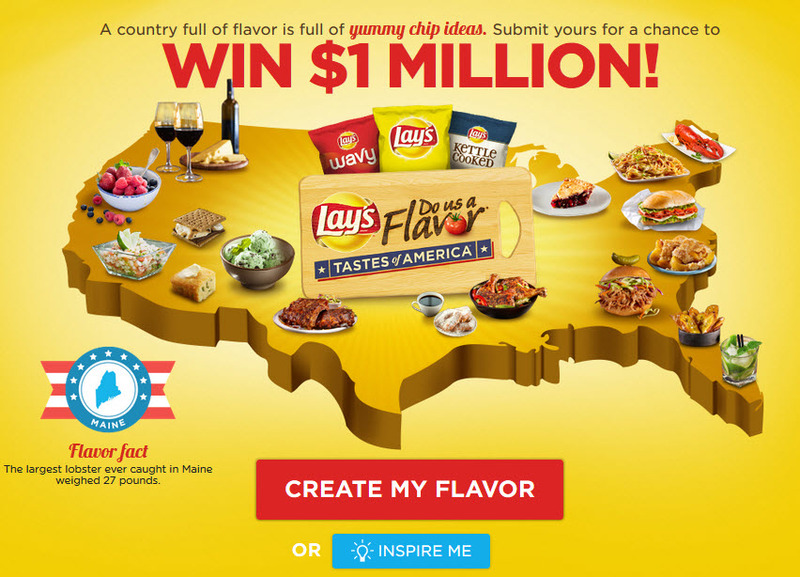 In summer of 2012, Frito-Lay made the daring choice to crowdsource a new flavor of Lay’s potato chips. The result was over 3 million flavor ideas submitted through Facebook and SMS messaging. Entrepreneur.com reports the contest promised $1 million to the winner, which would be chosen by popular vote after a number of preliminary rounds to narrow the competition. More than a million consumers voted via Twitter, Facebook, and SMS messaging in May of 2013, eventually resulting in the grand prize being awarded to a children’s librarian in Wisconsin. For Frito-Lay, the result was just as sweet as the librarian’s well-deserved cash prize: a 12 percent increase in sales nationwide, a 300 percent increase in Facebook likes, and an ongoing tradition that allowed consumers to directly influence one of their favorite brands, thereby increasing customer loyalty over time. The campaign launched again in January of 2014, to eager fans and similar success. While not so much concerned with sales, this is a social media marketing campaign that taught marketing specialists all over the blogosphere that viral marketing is truly the most powerful online platform. In 2013, the Human Rights Campaign changed their logo from blue and yellow to red and pink in order to show support for the opponents of California’s Proposition 8, which went to the California Supreme Court in March of that year. The app in question was number one in the iTunes App Store’s food and beverage category, and one of the top 25 apps in the entire store within a day. 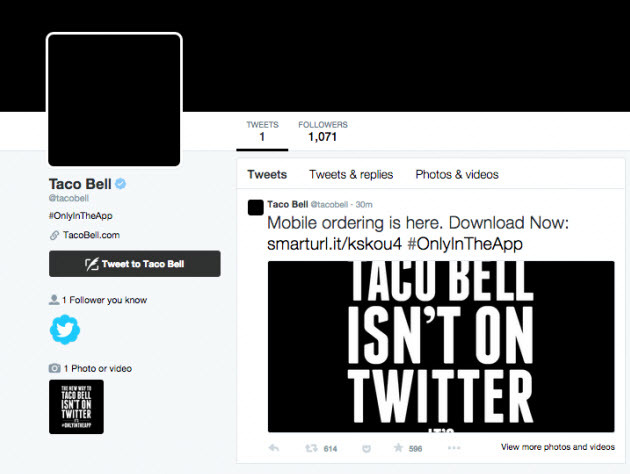 Within those same 24 hours, 75 percent of Taco Bell locations reported processing at least one mobile order. The blackout itself was lifted quickly, but the thousands of app downloads continued on for quite a while after the lights came back on, garnering media attention and forcing social media marketing experts to rethink their own strategies. 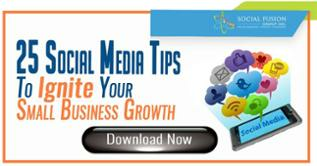 Less than 90 days into 2015, it’s hard to say what kind of success social media will bring this year. The current biggest success is with the social feeds of James Cameron’s Avatar; by releasing tantalizing sneak peeks and production information for the sequel (slated for release between 2017 and 2019), the already staggering number of fans—a fan army 53 million strong—has only grown. This campaign has been spread over all the Avatar social pages, including Instagram, Tumblr and Twitter, all offering unique and different features. Fans can get lessons on the fictional Na’vi language, earn badges for liking, reTweeting and other interactions, and access exclusive pre-production content just for dropping by; this campaign is designed to run up to the release of the film, making it one you can expect to hear about throughout the next couple of years. Will it get the kind of response that Cameron hopes for? All anyone can do is wait and see. However, with millions already eager to get every hint of new content that they can, it’s hard to think this campaign could possibly be anything but a success. As far as social media trends go, there’s nothing users like more than feeling like they’re part of an exclusive social club; whether that club is voting on potato chips or asking questions of attractive men on horses, this is one marketing trend that just grows more powerful every year. Keep an eye out for more social media exclusive content, interaction and more as the year continues.